January It's has been a crazy month for me; at first, the terrible flu held me in bed for ten days and ever since I have been so sluggish. 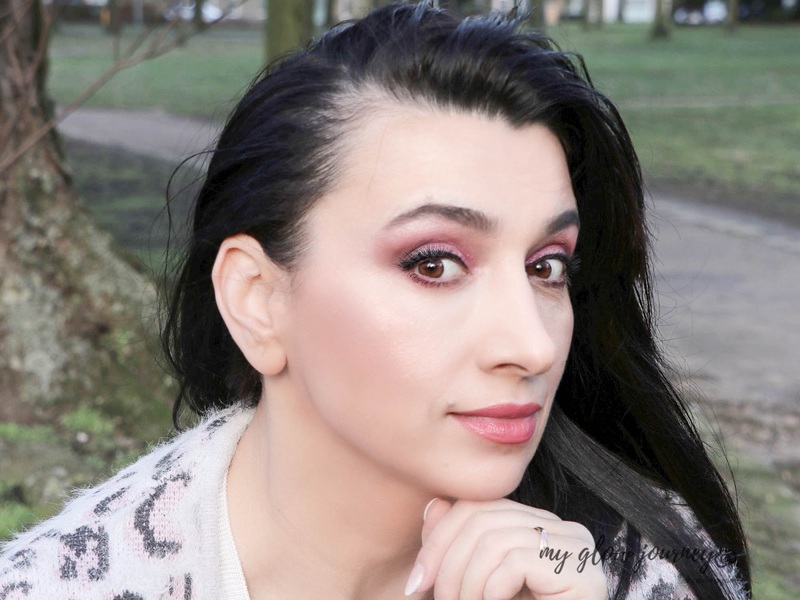 I was trying hard to get back on my feet, jump straight to on to my regular work/blog/life schedule but I was feeling very low energy, overwhelmed by my work so that I had to stay away from blogging and social media. 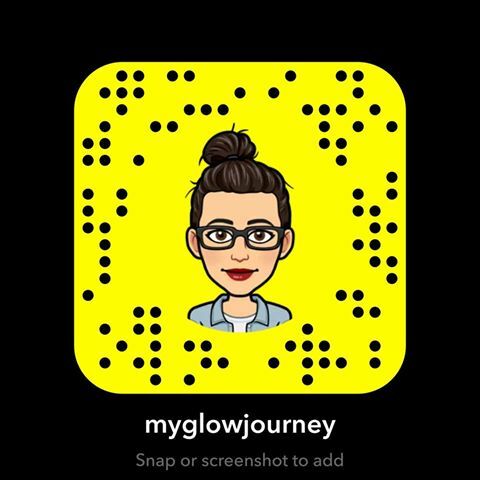 I love my Internet space and sitting down with a cup of coffee or tea, telling you guys about what’s new in my life or what’s products I was testing lately is my happy time! And I really missed that. I missed my me and the camera time, taking some beautiful pictures creating some flat lays. I did not get to do that either like I was able to hold the camera and take a picture but not create a picture. I tried a few days ago, I did the setup, put the lights on trying to bring you guys some flat-lays, and I was done, there where no energy left for actually taking pictures. I’m not sure if this flu virus I got was different than the other I had in the past, it is the age, and it affects me differently, I don’t know, but it never took me so long to recover from it. 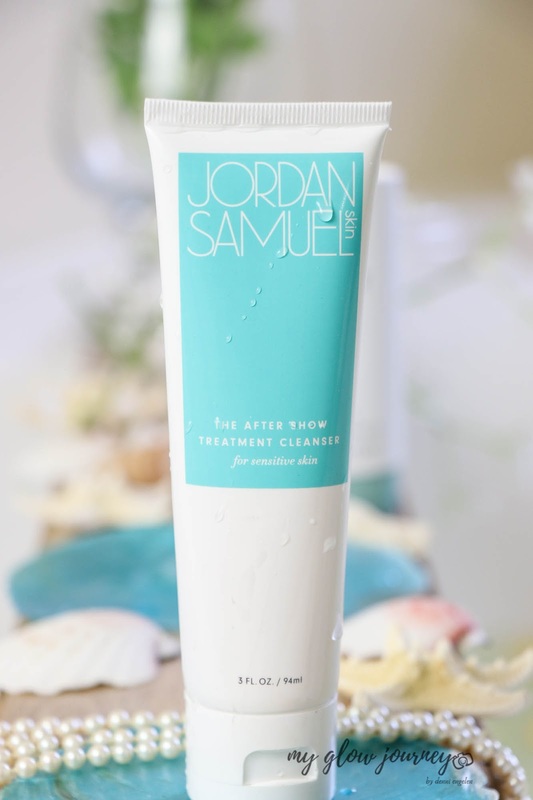 Jordan Samuel Skin After Show Treatment Cleanser – one of the Instagram made me buy it items; this cleanser has been my absolute favourite lately. A beautiful gel-to-oil formula is so soft and gentle with my dry skin, I apply a dime size amount on my fingers and massage it into my skin, and I remove it with a damp flannel. Tilk Bio Refresh Me Face Mist – Let me just tell you this rose water and probiotics! I’m a mist junkie and form all my mist collection this one is my go to. Is a stunning spritz, it contains essential fatty acids from the rose hip seed that help reduce scarring and promote skin regeneration, it has vitamin A helps to improve skin texture and tone, it has probiotics to help maintain skin’s natural moisture. Also, the ingredients are natural and vegan. Perricone MD Smoothing & Brightening Under-Eye Cream – This is my holy grail! I won't even start my day without my Essential Fx ACYL-GLUTATHIONE Smoothing and brightening under eye cream. No matter how tired I am or how bad my dark circles look like, just a bit of this nourishing rich eye cream gently tapped and massaged under my eyes and I look fresh again. I'm using this eye cream for three months now, and it improved my undereye quite a bit. Mentholatum - Hada Labo Premium Lotion – the only Hyaluronic acid that doesn’t break me out like a teenager on a chocolate diet. Excellently to keep the skin hydrated. I’m using this HA for a year now, and I’m obsessed with it. 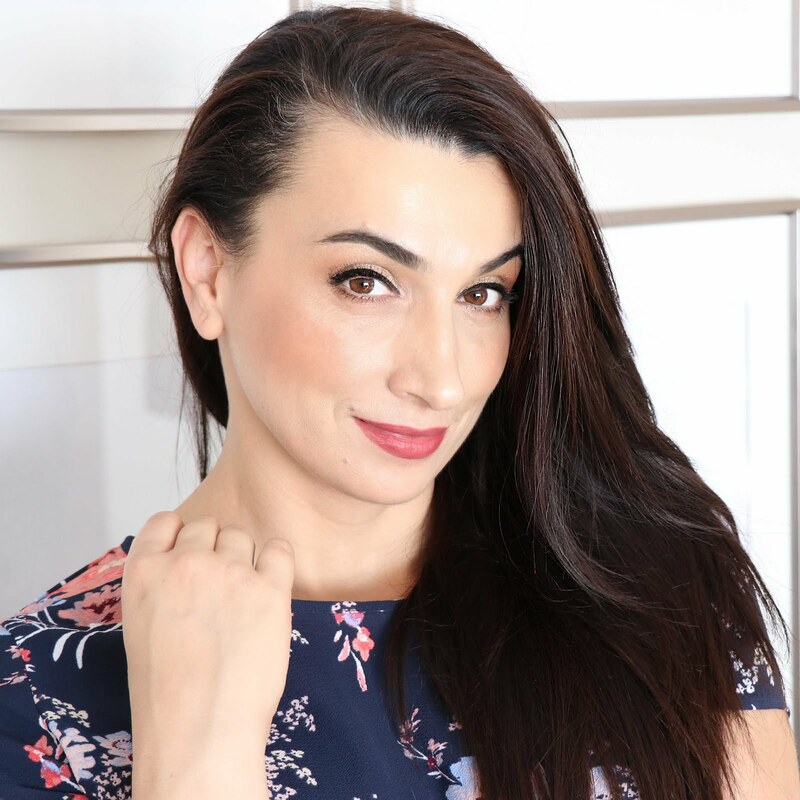 Is inexpensive, a little goes a long way, sinks in quickly allowing products to be layered, has very little fragrance, doesn’t clog the pores and my skin looks hydrated and youthful. 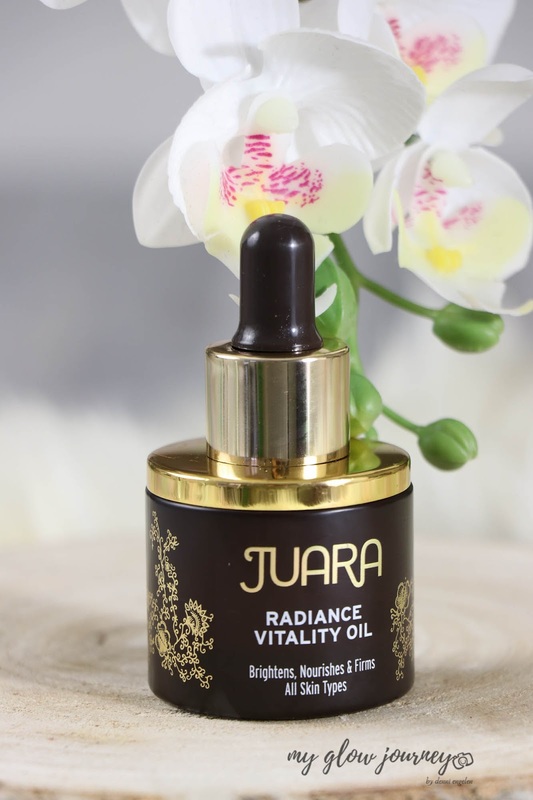 JUARA Radiance Vitality Oil – I use this oil every morning I have seen a massive difference in my skin! My skin is firmer, brighter, supple and moisturised. It has avocado, turmeric, candlenut, plumeria oils, is rich in fatty acids and vitamin c and is also great as an added nutrient booster to any moisturiser. 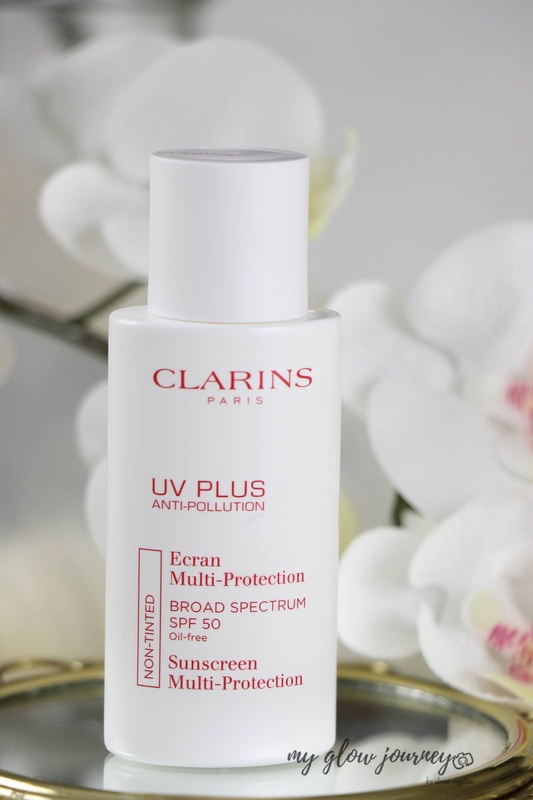 Clarins UV Plus Anti-Pollution Sunscreen Multi-Protection Broad Spectrum SPF 50 – In my eyes this is the absolute best SPF, never pills or rolls, does not burn my eyes and skin, is smooth and lightweight and behaves impeccably under makeup. AmorePacific double cleanses Treatment Cleansing Oil and Treatment Cleansing Foam– This dupe I'm still testing it now, and I will be posting a review later! The oil cleanser duo is a blend of botanical oils that dissolves and lifts away impurities and makeup without stripping away skin’s natural moisture. And it does a great job leaving my face feeling fresh and not dry in any way. Mentholatum - Hada Labo Premium Lotion – See above in the AM routine. Stratia - Liquid Gold– This lightweight moisturiser has become my favourite quickly making me reach for it almost every evening. 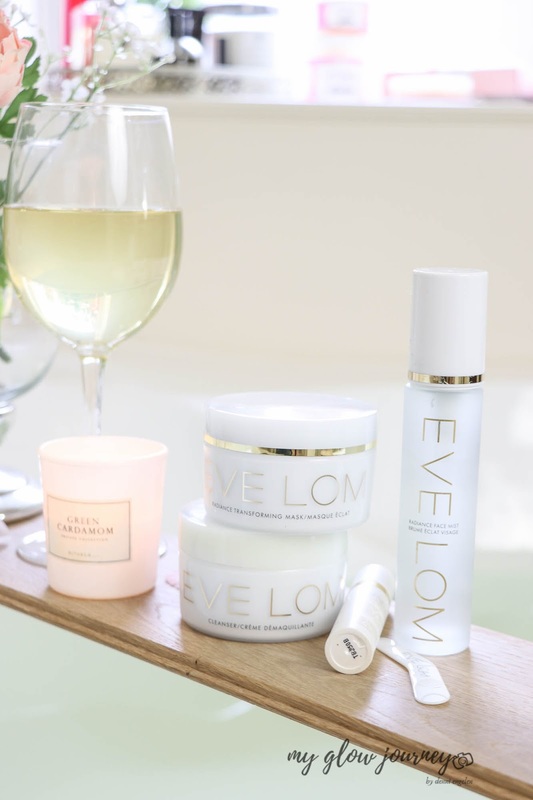 IT is the dry ageing skin holy grail, if packed with antioxidants, has skin replenishing and skin shooting ingredients, moisturise without leaving the face sticky or greasy and is seriously budget friendly. I mean for 24$ you get a whopping amount of 60 ml. 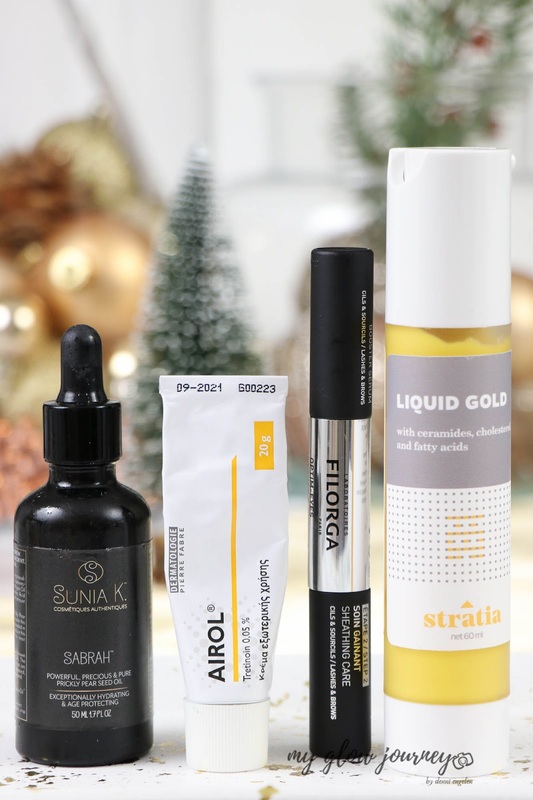 Airol 0.05 –I started using prescription retinol somewhere end August last year, and I'm constantly working my way up with it. I did use it every other night, but I started to feel, so I did step back a bit. At the moment I'm using retinol twice a week. I layer it with my Hada Labo Premium Lotion and my Go-To Skincare Face Hero Oil on top of the retinol if I feel like my skin needs the extra moisture. So this was my updated skincare routine. You will maybe notice that I stepped down actives a bit, and that's because I sensitised my skin and I needed to take it slowly giving my skin time to recover.